It seems Samsung SA just employing Ping-pong players and they are aiming to be the no 1 Ping-Pong company. It has now been weeks since I have been trying to get answer from samsung but they are such good ping-pong players they just bounce you to the next Ping pong player. Its just so hard to comprehend when big branded appliances start going south. Kelvinator, National, KIC, Hi Tachi, etc are all Appliance Brands that use to be great products like Samsung and are no-longer. These brand names are still been used by devious marketers to quickly sell their inferior products to unsuspected consumers. Most of these products get imported from some place which you can't even pronounce and then a well know name get slap on them. Getting back to "What went Wrong" . . . .! "I don't know"
I saw the same happening with Barlows and HiTachi before they went belly up with their appliances. They could not supply the trade with parts and their agents would strip "comeback appliances" for parts to fix appliances that is still under warranty. All I can say is . . . .
Purchasing a new refrigerator can be quite a task. Researching the sheer number of types and brands can be quite a daunting task. First you have to decide the type of refrigerator that you want: French Door Refrigerator, Side by Side Refrigerator, or Bottom Freezer Refrigerator. After you select the type of refrigerator that you want, then comes a harder decision, the brand. Maybe you know someone that recently purchased a refrigerator and because they rave about their refrigerator, you select a similar brand. Or, maybe you google refrigerator reviews and select the “top” reviewed brand. However you end up selecting your refrigerator, at the end of the day you begin to realize the importance of conserving the investment of your time and money. If you already have a refrigerator, the importance of conserving its life and importance can’t be understated. So what is preventative maintenance? Preventative maintenance is performing maintenance on a piece of equipment so that the likelihood of failure is lessened. Don’t be afraid, of the word “maintenance”, because changing the oil in your car is also considered to be maintenance. If you change the oil in your car, then you have the ability to perform some of the Preventative Maintenance Items for your refrigerator. And like changing the oil in your car, you can always go to your local appliance repair shop to help you perform the PM items that you may be hesitant about. This will allow you to preserve your brand new or used refrigerator for as long as you can. Now, here’s the top 3 Preventative Maintenance Items that you can perform on your refrigerator. They won’t be in any specific order, these are just some of the important items that are easy to perform, but play a huge role in increasing the life of your refrigerator. You may already know some of these tips, but I will elaborate on the reasoning behind them. In my experience understanding the “why” of something helps you to better recognize the importance of accomplishing this task. 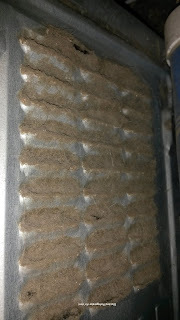 Clean the Coils in your Refrigerator. This tip is probably a popular one, but let’s dive into the reasons behind cleaning the condenser coils, the locations of these coils, and the frequency of cleaning these coils. 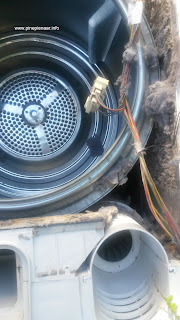 The condenser frequently has air passing over it. Debris, hair, dirt and etc., gets caught in the condenser coils from the room air. 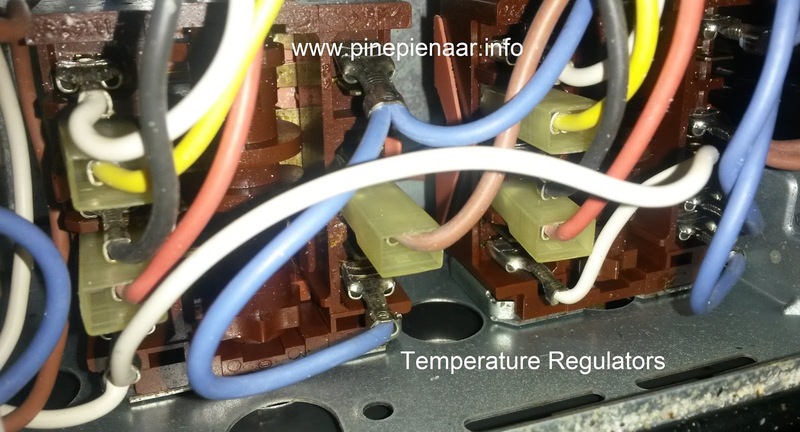 When this happens, the compressor will work twice as hard (or maybe more), to maintain the temperature that you have your refrigerator set. Because the compressor has to work harder, the service life will decrease causing it to fail prematurely. Now you have to call a repairman…. 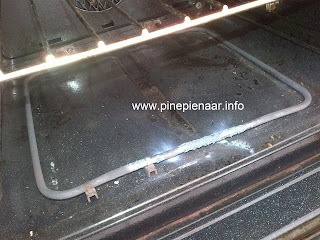 The condenser coils are mainly located in two areas on most all types of refrigerators: underneath the refrigerator and at the back of the refrigerator. If the condenser is underneath the refrigerator you should unplug the refrigerator, and with someone to assist, slightly tip the refrigerator over, so that the coils are visible. Note that you may have to remove the contents of the refrigerator. If the coils are located at the back of the machine, unplug the refrigerator and slide forward. There may be cardboard or a metal plate covering the area. Once the area is visible, you can use a vacuum with an attachment to clean the coils, and you can also use a condenser coil brush. This brush is sold in most appliance shops. Depending on the amount of people, pets, and the cleanliness of your floors, this these coils should be cleaned every 3 months. Inspect/Clean or Replace Door Seals/Gaskets. Here is another common preventative maintenance item that I’m sure you’ve heard about, but let’s look closer at the benefits, and the frequency of inspection etc. of your door seals. The door seals or gaskets are usually made of rubber with a magnetic strip and is found in inside the door frame. The primary purpose of a door gasket or seal is to ensure that the door is closed shut, ensuring that warm moist air won’t be able to get inside the refrigerator. This also ensures that the cold air generated inside the refrigerator is not allowed to escape. It is very difficult for your refrigerator to maintain cold temperatures inside when cold air is escaping and warm air is allowed to enter. This will cause the energy needed to maintain the set temperature to increase. This increase in energy will translate to an increased electric bill, as well as potential premature failure of refrigerator components due to a need in increased output. Seals should be inspected to ensure proper conditions. If the seals are damaged or beginning to fall off the frame they should be replaced immediately. When you receive the seals that need to be replaced before installation make sure that gaskets are not twisted or warped. If needed use warm water or a hairdryer to make the gasket is as straight as possible. There are usually 3 types of installation styles for door seals. The first style is one in which the gasket is pushed into a groove around the parameter of the door. The second style is one in which the gasket is held behind a liner by a retainer lip found on the refrigerator. The last style of installation is by loosening the screws and fitting the gaskets between the inner and outer door panels. Once installed make sure that there is no gap between the gasket and frame, over time the door seals will flatten. Petroleum jelly can be used to ensure that the seals won’t bend near the hinged area. If a new door seal is not needed, make sure that the gaskets are thoroughly cleaned. Debris can get caught in the rubber stopping the door from closing fully. The gaskets or door seals should be inspected every 2-3 months. Check the Refrigerator’s Internal Temperature. This is probably a preventative maintenance item that is not as common as the prior two items. You should regularly check your refrigerator’s internal temperature to ensure little variation throughout the day. A food thermometer can be used to verify the consistency of the temperature over time. It would be a good practice to verify the temperature between 2-3 hour increments. During this time, it is important that the refrigerator door remained closed for the duration the increments. 3 trials should be enough to verify any fluctuations in temperature that may occur. If your refrigerator is running and the temperature has dropped only 3-5 degrees, the refrigerator’s cooling process is in great condition. If there are large fluctuations, the first two items, as well as other troubleshooting techniques may be needed. If there is any issue with temperature fluctuations, an appliance repair technician should be used to check the refrigerator’s functions. These are just 3 of the main preventative maintenance items that can be of great help when it comes to preserving your refrigerator. Preventing problems from happening, is very important, and could end up being a great investment for your new or used refrigerator. If you enjoy the tips as well as the explanation click here to learn more tips. These tips include preventative maintenance measures for other home appliances. 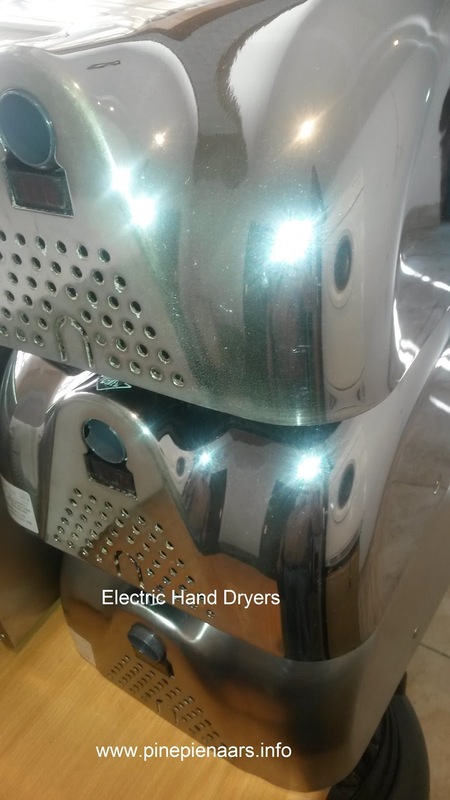 Electric hand driers! - Best thing since the invention of sliced bread, they have elevated bathroom hygiene to new levels. I always get the shivers when I have to walk pass one of those bacteria invested waste-baskets overfilled with used paper towels – even worse are those rolled cloth towels. Somewhere along the line you have to touch where the previous visitor just did his “business”. Jugg! - Lets rather move on to what I actually what to tell you about in this post. Hand dryers are so convenience, just hanging silently on bathroom wall ready to spin into action as soon as you rub your hand underneath it. Like all modern day appliances the convince come at a price to the environment. It is true Electric hand dryers do save tree's - but all those plastics and metal used to build them. Then there’s the electricity they use? In all fairness the new generation Hand Dryers uses much less electric energy that their older counterparts. Like all Electric-Appliances, hand driers need periodic services. This is also the single biggest reason why they come in for repairs – “the dryer were never serviced or cleaned”! Personally I think the manufactures should have installed a removable filter grill at the in let. The second cause why electric hand dryer fail is Carbon Brushes. These little buggers are responsible for making the motor turn by allowing electric current to run through them into the commutators. The electric current creates a north and south pole in the motor. 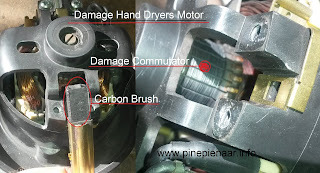 The little carbon brushes now push the commutator sections away - one cell at a time, creating rotation. Once the carbon brush starts wearing-out, it stops making secure contact with the commutator. As you know when you have a loose or bad electrical connection excessive heat starts to develop in a unit. You can see in the above picture the commutator was burned black by the excessive heat. When opening a Dishwasher in anticipation of clean sterile dishes and cutlery but instead the dishes are cover with smears and stain marks. That is a major let-down! Dishwasher are great machines when they work. . . . ! but when it starts giving inconstant results, it becomes a huge source of frustration. 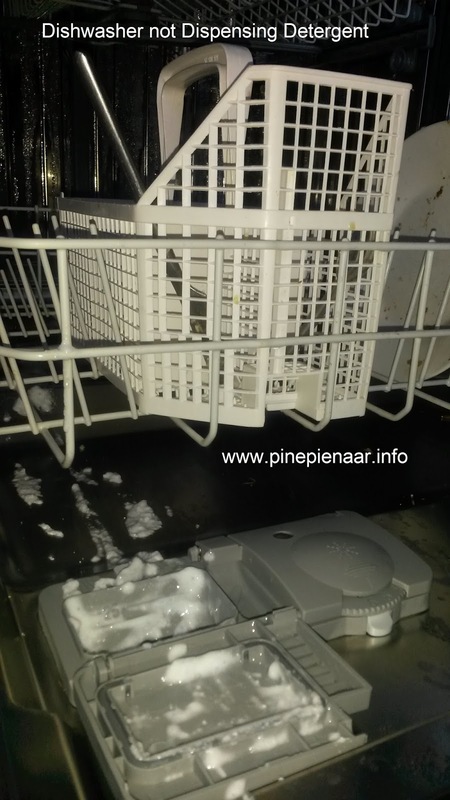 Lately we have been receiving a lot of inquiries about dishwashers giving inconsistent cleaning results. 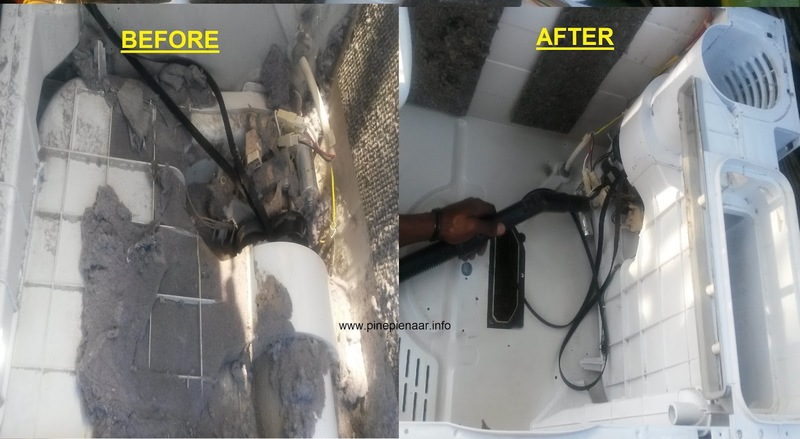 I have highlighted some of the most common problems my clients have with their dishwasher and possible solutions. Once you have tried the above advice and the problem still persists it means the machine has a default some were and you need a professional to open the Dishwasher up. Their Laminator just suddenly died and it is one of those you buy from the big chain stores with no after sales or backup - once the guarantee is finish the are also finish with you. As a last resort Ann ask us if we could help. 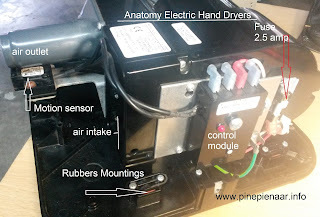 Upon opening the laminator unit we found the little drive motor and bushes were still in excellent condition. 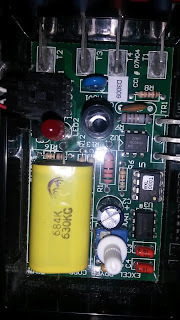 It was only one capacitor on the PCB that exploded. After cleaning and good lube job, the unit was ready to go back into commision. Isn't that great from now on you can make informed decisions if you should repair or chuck. Electrical Filter is the layman's term for suppressors and surge protectors. Most good appliances has Surge protection unit build into them. 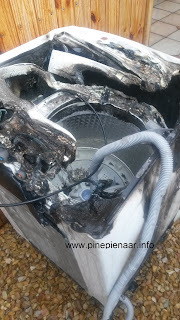 All Appliances in South Africa has been taking beatings and major abused from our National Electrical supplier with their inconsistent ("Loadshedding") power supply schedules. Although the "loadshedding" has become less, we still have daily uncontrollable electrical spikes. In South Africa and most other countries receive AC power (alternating current) from their national grid supplier. Like the names says "Alternating Current" - it means the power supply is alternating (like waves in the ocean) The voltage goes Up and Down. Sometimes it will spike at 300+Volts and then down to 180 Volts. In the RSA we use 220 volts, the USA and Europe use 110 Volts. Surge spikes (also called transients) are measured in units of 10 -6 Second. 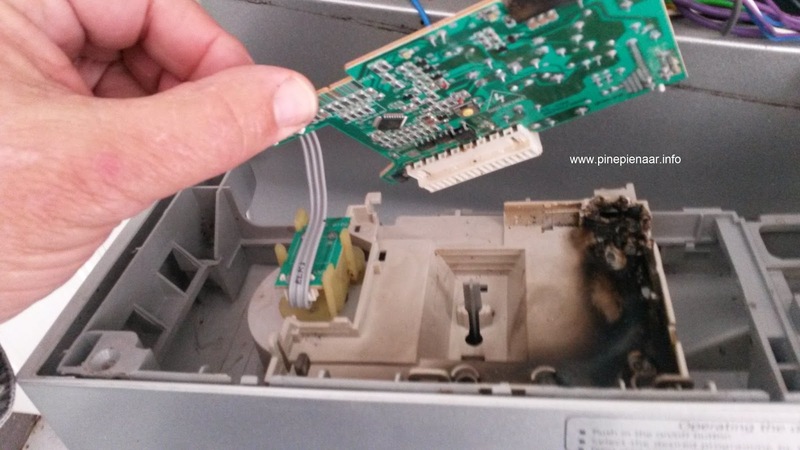 Transients that cause havoc inside appliances normally are in the several hundreds range and a lightning strike goes into the Thousands. These little devices or commonly called SPD (surge protection devices) come in many different and sizes but for this simplicity I will only cover the ones you find and use in everyday Household appliances. The surge diverter relays (or blocks) a electrical spike above a certain voltage down to the ground. 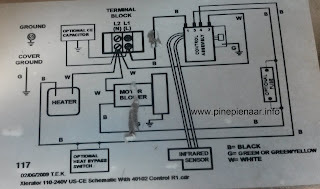 This normally creates a electrical short in your system but I will discuss this effect more in detail in another post. TVS's is commonly used in Household All Appliances and it react to momentary voltage spike . Commonly known as voltage Zener suppress diott. MOV is more found in electronic circuit boards and TV, sounds systems and top range microwaves. The Mov's are fast and they respond to a voltage surge much quicker than any of his other suppressor buddy,s. Their main function is to protect the other electronic components from a "over-voltage"
One can just keep on going about the many different types of suppressor and diott that is out there - like you also get a unit that is filled with gas. OK, ok! I will stop now! I do not want to risk losing you because of overexpose to boredom. My fascination might be toxic to your entertainment system. Getting back to the reason why I am telling you about these little appliances (suppressors) is because of safety and also to tell you it doesn't always pay to be a cheapskate. 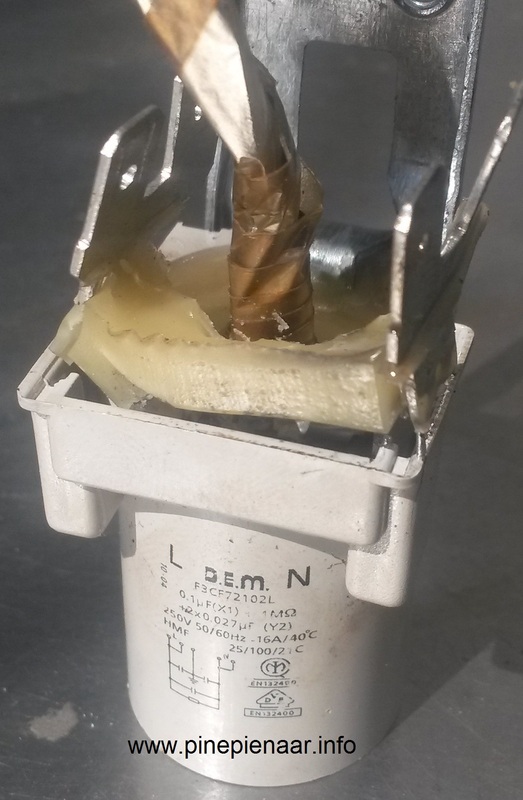 Some electronic manufactures tend to be cheap when designing voltage protectors and the installation thereof. 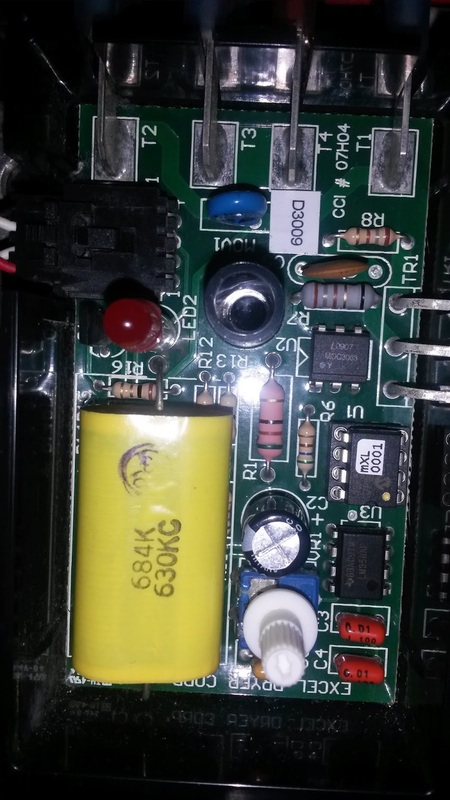 While the overvoltage might not be enough to blow the fuse or destroy the MOV, it does cause the PCB unit (printed circuit board) to overheat. The overheated MOV will eventually then start the fire. As a habit one should always try to fit and use surge protection units but there are so many dummy units out in the market place. It is very difficult to direct you from a distance what to look out for because on the outside they all look legit. 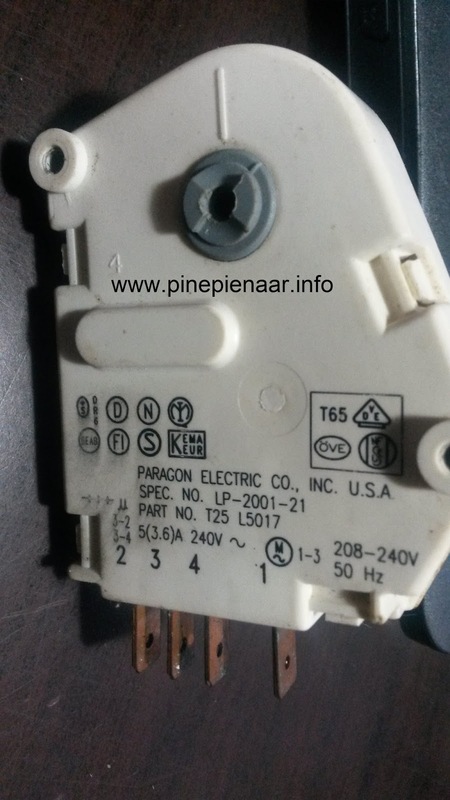 I would recommend is to find yourself a good electrical supplier (be careful for the national franchises because they buy in bulk from the east on "good deals") and also think twice next time when you buy cheap unbelievable deals. (they can make it so cheap because they schimp on necessary safety equipment). Always ask about the appliance backup service because after the supplier guarantee period has expired you could be stuck with an electrical item with no backup service. 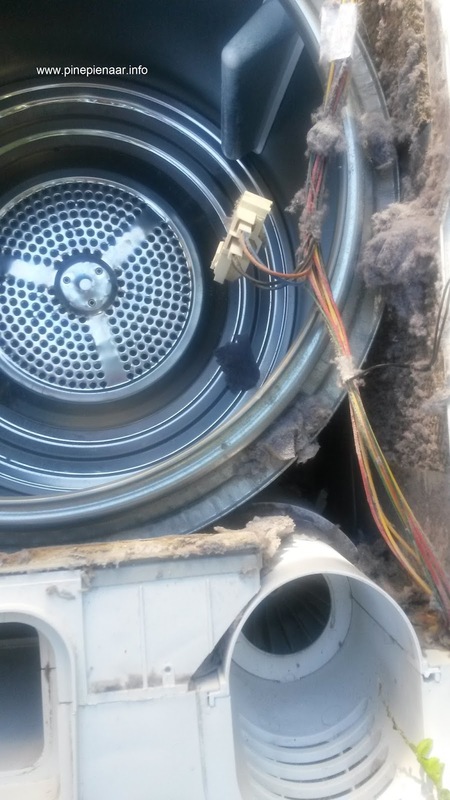 We recently had the honor to service a Hoover tumble dryer mode VHC 391. I can actually count on one hand the times we had this specific model in our workshop. This Dryer was build in the true Hoover Superior tradition and it has so many unique feature which will take forever to tell you about them. The snag comes in when you live in a small apartment or the machine is kept in a small laundry room. On a humid days combined with the evaporated water from the drier results that wetness moves into already dryer garments. This dampness which you don't think is now on your garment and it will make your clothes start to smell moldy. Most of the time you don't even pick it up straight away, its only when your body starts heating up from around about 10 - 11 in the mornings. This also the time when most people tend to blame their Washing Machines or detergent. 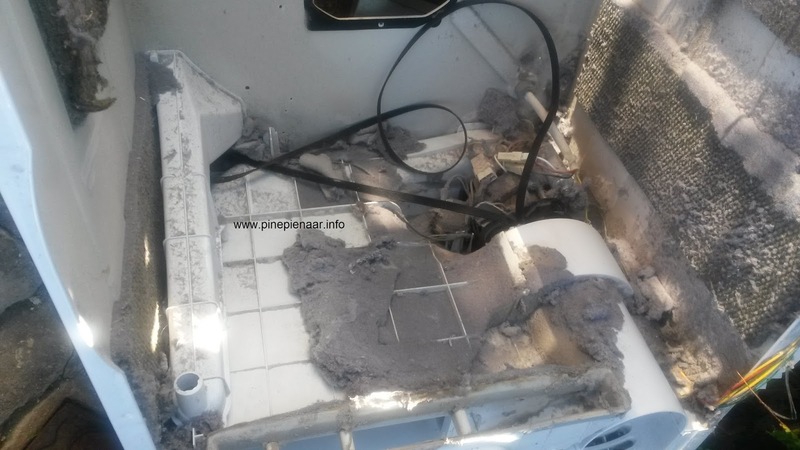 The actual reason why I did this post is to show (pictures) you the reason why it is so important to have your tumble dryer serviced or cleaned regularly. Autumn is here and winter is the time when you use tumble dryers the most and you don,t need a breakdown when you need it the most. 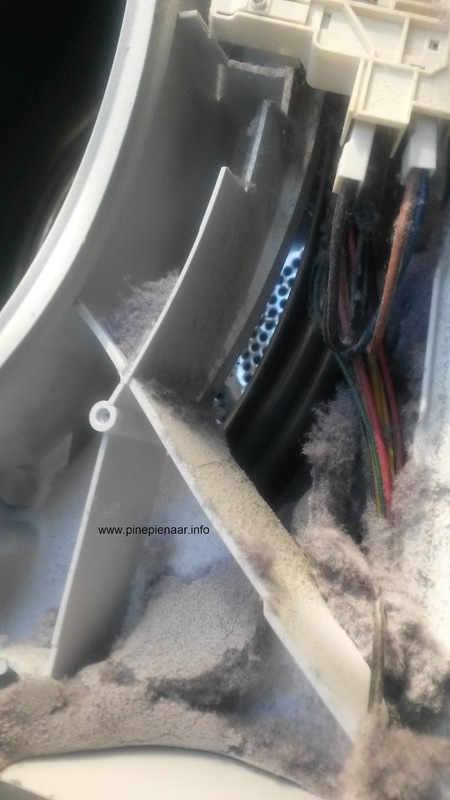 Fluff blocks the flow of hot-air inside the tumble drier which results that instead of the Hot air move through the garments and to the outside, it now lingers inside the dryer unit causing the motor and timer (programer) to overheat. 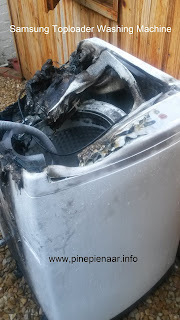 When the tumble-dryer airflow are restricted it takes much longer to dry Garments resulting in using more electricity. 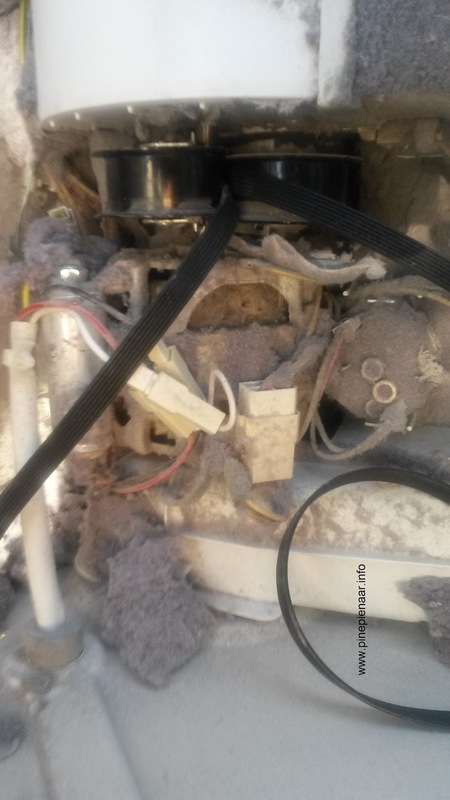 When the motor is covered with fluff the operating temperature rises by two or more degrees causing the motor fail. One of the most common symptom of a failing motor is that it does not startup (turn) on its own. You hear this humming noise and the drum heats up but nothing is turning. When you swing the motor with your hand it works fine again - THe reason for this is that the start winding is damaged but the run-windings are still fine. Windings are the copper wire coils around the motor armature - in which the electric current flows. The electricity in these copper coils creates a north and south pole (like in a magnet). 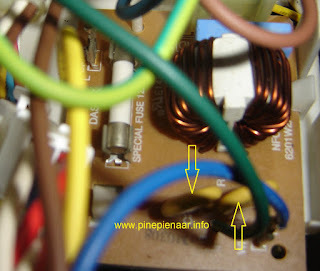 Once the motor overheats the insulation between the copper coils melt and it starts to lose their poles. Sadly I must report Hoover has gone by the wayside and backup service are limited. I can't help but wonder how such a super manufacture of legendary vacuum cleaners and household appliance just faded away. Ps. 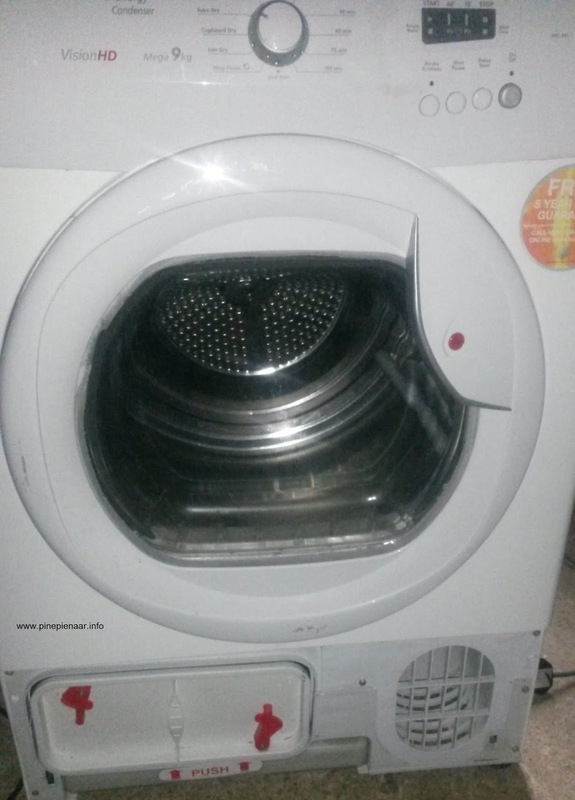 The only cost effective condenser tumble dryer is the same class as this hoover model are the Whirlpool which also has a very big inner drum. All electric Elements at some point and time stop working, Most of the time it is the Ovens bake element that goes on the blink! As a rule the electric element normally goes quietly during the night and then the next time when you want to use the stove-oven. it just doesn't heat up or it takes a very long time for the oven to reach bake temperature. Thermostat: The thermostat is like a regulator it controls the temperature inside the oven cabinet. This process happen with the thermostat switching the electricity on and off. Wire: Electricity gets Transport from the thermostat to the electric element. Very Important - Because elements draws a lot of amps it is important to use only silicone wire and at least a 2mm thick. Lately we have been receiving a lot of calls for Frost Free Refrigerator that has a LED light flashing, which is also a indication that something is wrong with the refrigerator temperature . 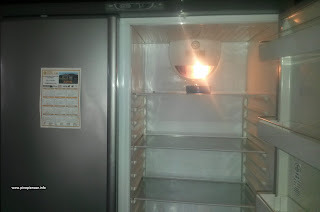 One of the most common and visible symptom is that the fridge section stops cooling. Frost Free Refrigerators make use of the "chill-factor-principal" to cool the air and also freezing stuff inside the Freezer Compartment. This means you have to have air-movement all the time inside the refrigerator. To create these ideal cooling conditions inside the refrigerator you need a couple of components to work together. That was the short version of the cooling working of the Frost Free Refrigerator now we will cover the heating section of the frost free refrigerator - this side is almost as important as the cooling section. The heating section is to help the refrigerator's defrosting control module from not developing an ice buildup. The heater elements are mounted against the evaporator unit, which is made from aluminum. Aluminum is a great heat exchanger so when the heater gets turned on it melts the ice on the evaporator in seconds. This little pouch of components controls the heat temperature while the heater is turned on. 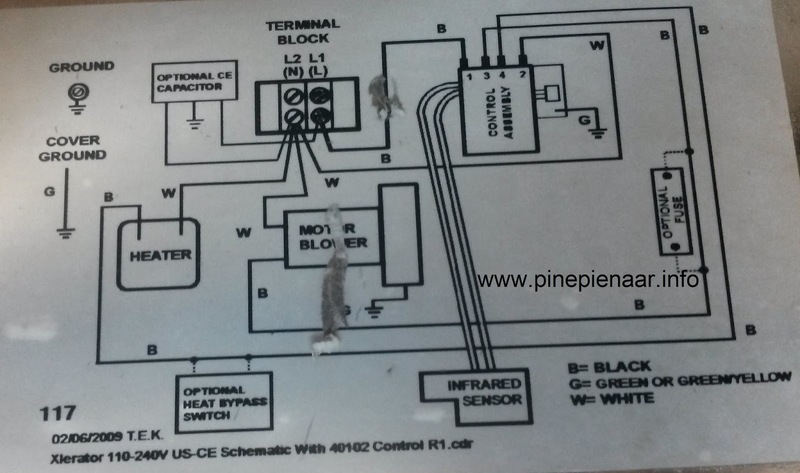 The main purpose of the electronic controller is to have all these gadgets and parts working together in perfect harmony. 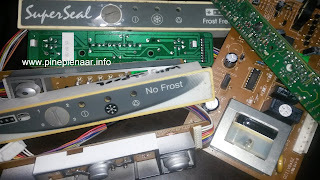 In a next post I will cover more about the trouble shooting of the frost free refrigerators. I do hope this post has given you some information to work with and has added value your time. Feel free to leave me a comment below or shoot over to our facebook page and press the “Like” button for more information. Always use reputable Appliance Repair Company to repair your appliances otherwise it could come back to haunt you. This post is about checking-out and evaluating a contractor. All contractors differs from each other - as every tradesman has different skills which he specialises in. An Appliance technician are not same as a electrical contractor or a building contractor with whom you are going to spend a couple days/weeks with. With an appliance Chap you just want your unit working as quickly as possible and that is it! - but it is also important that you feel comfortable with your appliance guy and that he has relevant experience. There is whole procedure of checking out a contractor that is going to do work for you. In the case of having your appliances repaired you don't want spend hours or sometimes days to check out someone's background and previous work experiences who is just going to change the Microwave oven lamp. Here is my list for evaluating a service provider. First Impression - Trust your instincts. Is he working from a physical address - just incase something goes wrong. If he is soliciting business off the street directly to your door - do not let him in. In a next post I will go into more details for checking out a building contractor and how to do background checks. Please if you have more ideas for checking-out a appliance technician - let us know leave a comment below or one on facebook.